Winter Warm Up Blog Hop – Escape Reality, Read Fiction! 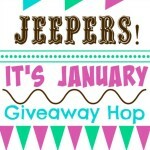 The Winter Warm-Up Blog Hop is organized by Hops with Heart. This may sound mean, but I’ve already warmed up my winter. We moved from Seattle to Atlanta early this month, and it is 15 degrees warmer here. Also, in our new home the bathrooms are the warmest rooms in the house, instead of the absolutely coldest places on earth, which describes our apartment in Seattle. Trust me on this, but the bathroom is not the place you want to freeze in the winter! Freezing your buns off is never conducive to romance – especially in a room that never contains a cozy bed with lots of blankets. One of my favorite ways of keeping warm in the winter is to have a nice, hot cup of cocoa while reading a great book while my feet (and sometimes the rest of me) are covered by a nice, toasty blanket. Or a cat. What’s your favorite way of keeping warm when it’s cold outside? 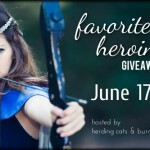 Fill out the rafflecopter for your chance at a $10 Amazon or B&N Gift Card. There is also a grand prize of one $75 Amazon Gift Card. If you want the chance of warming up with lots of good books and hot cocoa from Amazon, here’s the rafflecopter. And last but not least, for more terrific prizes, check out the other participants in the hop. I bet there are plenty of prizes that will warm your heart, or be great for holiday giving. I love to have a fire crackling in the fireplace wbile watching some holiday shows or hockey games. I like to go further south where it is warm enough I don’t feel the cold. A warm and sunny clime which is always appealing and delightful. Blankets and a nice hot cup of tea. A cup of coffee and a book!! curling up with my kindle and my dog 🙂 thanks for the awesome and very generous giveaway! Happy Holidays! I like to curl up on the couch with hot tea and a good book to keep warm. Earl Grey Tea with a shot of Jameson and a really engrossing book while I’m curled up under a down comforter. Absolute bliss. A nice hot cup of coffee or chocolate and a good book or ebook. I like to snuggle under a heavy blanket. But where I live I don’t get to do that much. I love to warm up with a nice cup of tea and my dog laying on my feet while I snuggle under the blanket and read a book. Curling up by the fire with a book and a hot cup of cocoa. A warm drink (tea or coffee), a blanket to snuggle under, my little bunny foot warmer and a good book. A hot drink and a soft blanket. Thanks for the giveaway! Houston doesn’t realize it’s winter. I think we have had a handful of sort-of-cold days. So there’s not a lot of cold weather fun happening here! I like to snuggle up with a good book and a cup of hot chocolate. I warm up with warm socks, hot coffee and warm book. Hot herbal tea (my own mix) and a warm comforter, a good book, and my husband (if available!). Snuggling with a loved one. I love to knit and crochet, so I make lots of hats and scarves and gloves to keep me warm when it gets really cold up here in New England. Alpaca yarn really keeps the warm in. I love to curl up in a blanket by the fire and sip on some chai. My favorite way to get warm is sipping hot chocolate in front of the fireplace. Hot chocolate with a warm blanket. I enjoy hot chocolate with whipped cream. Thanks! Drinking tea or hot chocolate and reading my favorite romance. Pingback: The Sunday Post AKA What’s on my (Mostly Virtual) Nightstand 12-21-14 | Escape Reality, Read Fiction! An espresso drink and a book, what else? I love a good cup of tea or hot chocolate to warm up on a cold day! My favorite way to warm up, is cozy socks, hot chocolate with marshmellows, cozy blanket with my man. Can never go wrong with a Hot Chocolate and someone to cuddle with! I like an espresso drink or hot chocolate! I grab my blanket and a couple of heating pads – one for my feet and one for back, and then snuggle in my recliner with my Kindle. I have an electric lap blanket that my dogs love. We moved here from AZ and they are not used to the cold either. Snuggling up with my honey and a huge cup of hot chocolate! Thanks Merry Christmas! I live in South Dakota and its cold and snowing a lot. One of my favorite ways to keep warm on a cold and blowing day is to snuggle up with my husband, 2 dogs, a hot beverage, and a good book. a hot bubble bath & a good book. My favorite way of warming up on a cold winter day is by reading a book by the fireplace, curled up with a blanket and drinking a nice, hot cup of coffee. Happy Holidays! 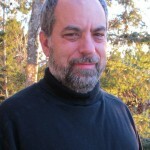 Thanks, allyswanson@hotmail.com. 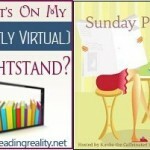 Pingback: The Sunday Post AKA What’s on my (Mostly Virtual) Nightstand 12-28-14 | Escape Reality, Read Fiction!